When my daughter was three, she went to a preschool in our neighborhood. I was so fortunate to have a teaching position in her class. It was more fun than I could have imagined! One of our favorite times of the day was going outside to play. As the kids got ready to play, I would tell them to get in two straight lines like the girls from our favorite book by Ludwig Bemelmans, Madeline. We read that book at least twice a week in my daughter’s preschool and the kids loved it! Each week the kids and I would make a craft based on a book we liked. 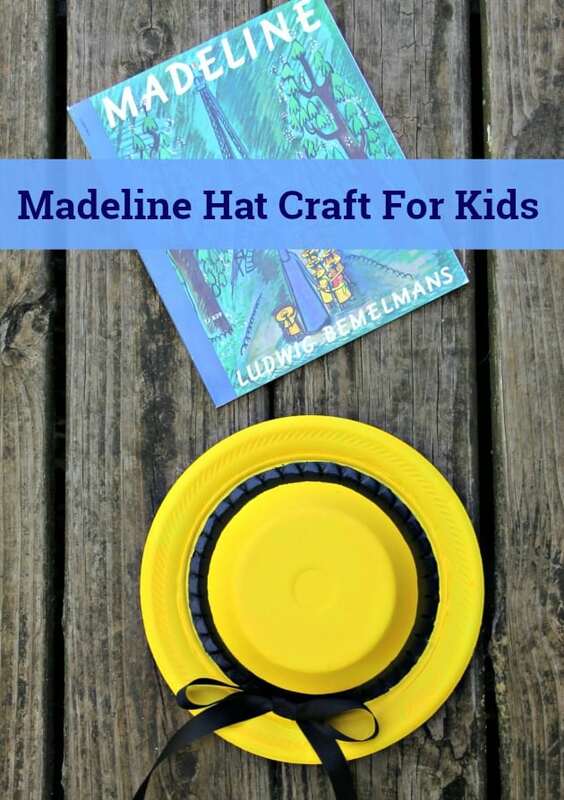 The week we wanted to do a craft based on Madeline, we found a really cute Madeline Hat Craft for Kids. 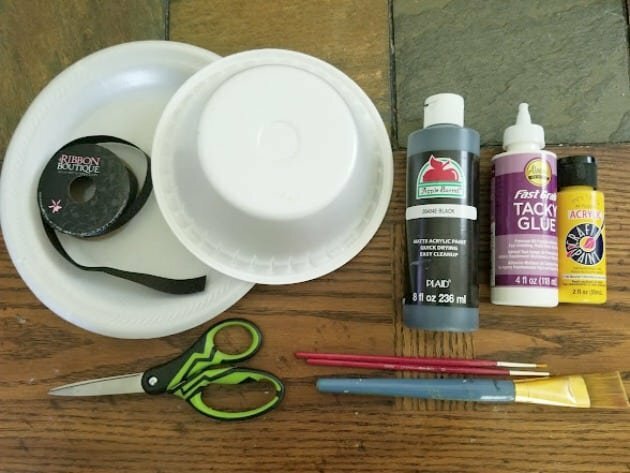 It is super easy, only needs a few supplies and the kids can help with several of the steps! 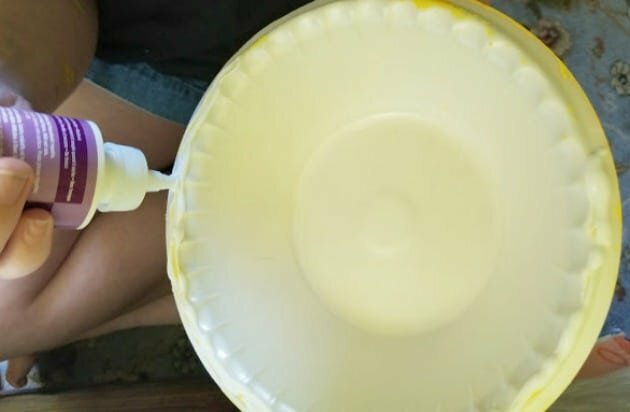 Step 1: Paint the bowl with the yellow paint. You may need two coats, but that is totally up to you! 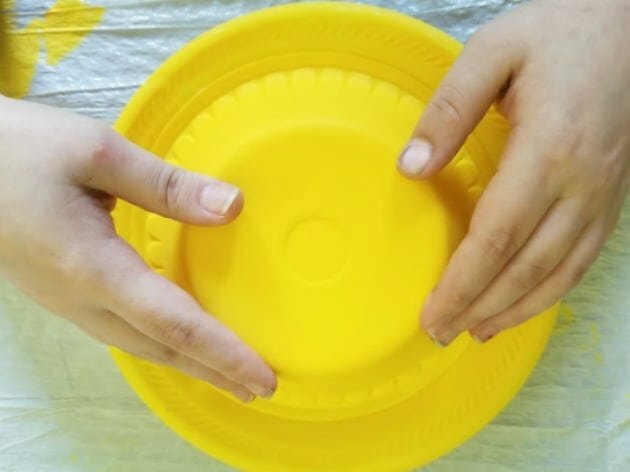 Step 2: Paint the plate on one side with yellow paint. 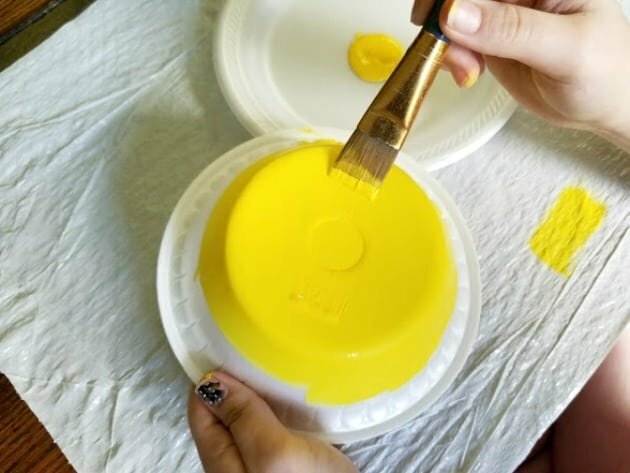 Allow to dry completely and then paint the other side. Step 3: Glue the bottom edge of the rim of the bowl. Step 4: Attach the bowl to the plate and allow to dry completely. 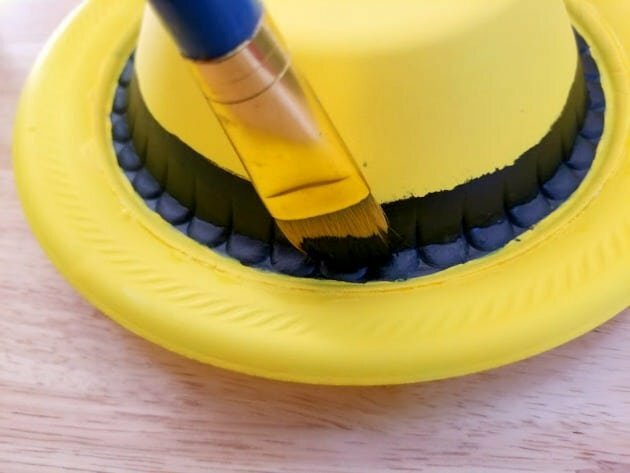 Step 5: Using the larger brush, paint around the inner rim of the hat. 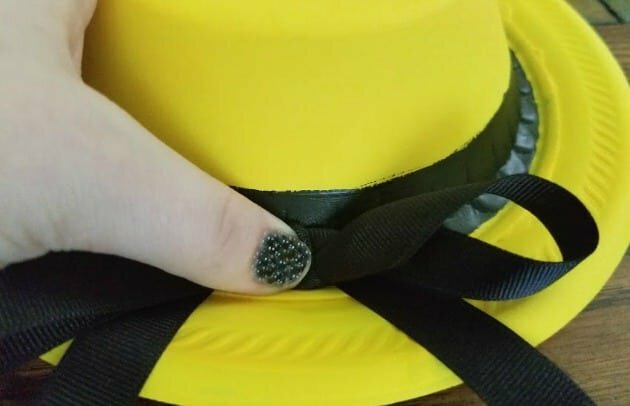 This will be part of the “ribbon” that goes around Madeline’s hat. If you try to do this with ribbon, it will bunch up and won’t look as nice. 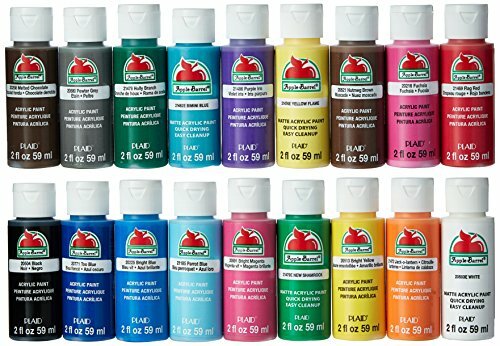 But, if you prefer to not have the kids paint this, they can glue the ribbon here instead. 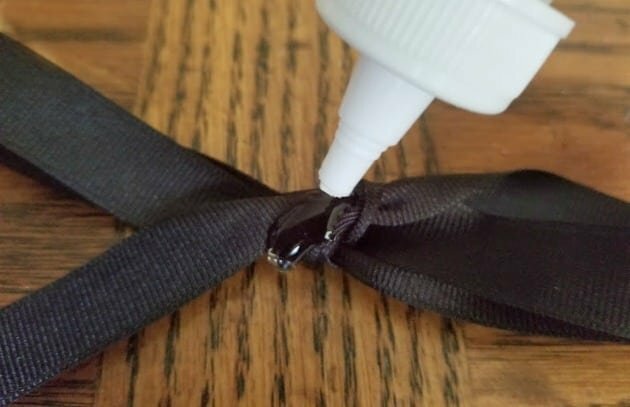 Step 6: Tie a bow with the ribbon and put a dot of glue on it. Step 7: Attach the ribbon to the “back” of the bowl (wherever you choose that to be). Allow to dry completely. Now the kids are ready to “wear” their new Madeline hats! 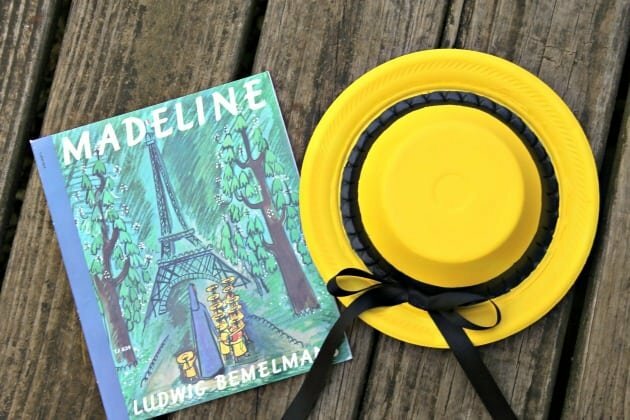 This is such a cute and fun Madeline Hat Craft for Kids. Enjoy! What a super cute craft idea. Thanks for sharing. That is so cute and simple! I love the Madeline character! I remember reading these books as a kid. This is a great idea. I know someone who would definitely like to make this. Thanks for sharing. I have a niece I would like to make this hat with/for. I know she would love it. What a cute craft idea! 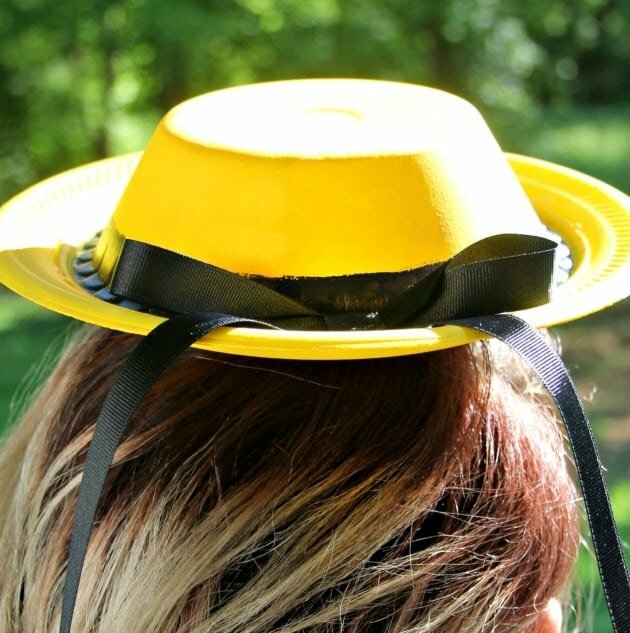 And it looks just like the real Madeline’s hat! This is adorable! My daughter loved Madeline when she was little. This is perfect for any Madeline fan! My 3 year old daughter loves hats. This looks like an easy craft that we can do together. She will enjoy paining the hat. What a cute, cheap, and easy craft idea!! Perfect craft for little Madeline lovers! That is such a cute idea and so easy. I think any little girl would love to do this! I remember reading to my kids the book on Madeline. She’s been around for a long time and I’ve always thought her hat was cute. This craft was pin worthy and I thank you for sharing this and the awesome idea to make a craft that has something to do with the weekly book reading! My niece loves Madeline and would love to make this craft. Adorable! I loved reading Madeline growing up! 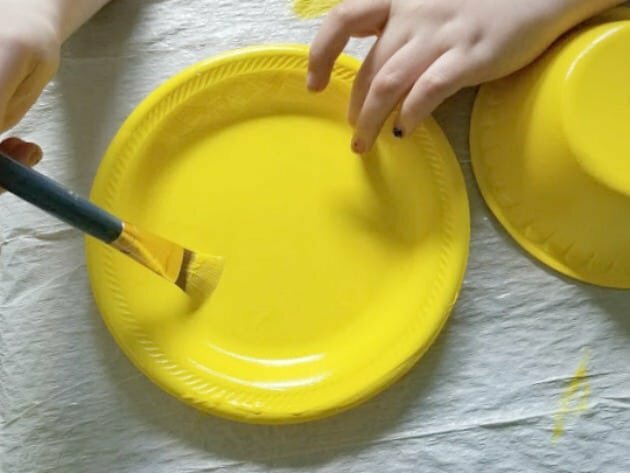 What a cute and easy craft idea! Fun way to get your child excited to read the book! We absolutely love these books. What a great craft!